Gong Xi Fa Cai!!! I’ve been celebrating the Chinese New Year with a number of new recipes. Gui Tie, or ‘Pot Stickers’ are dumplings which are both fried and steamed, to provide a superb texture & flavour combination. A traditional dish for New Year celebration, they are often served as appetisers with a soy and chilli dip. 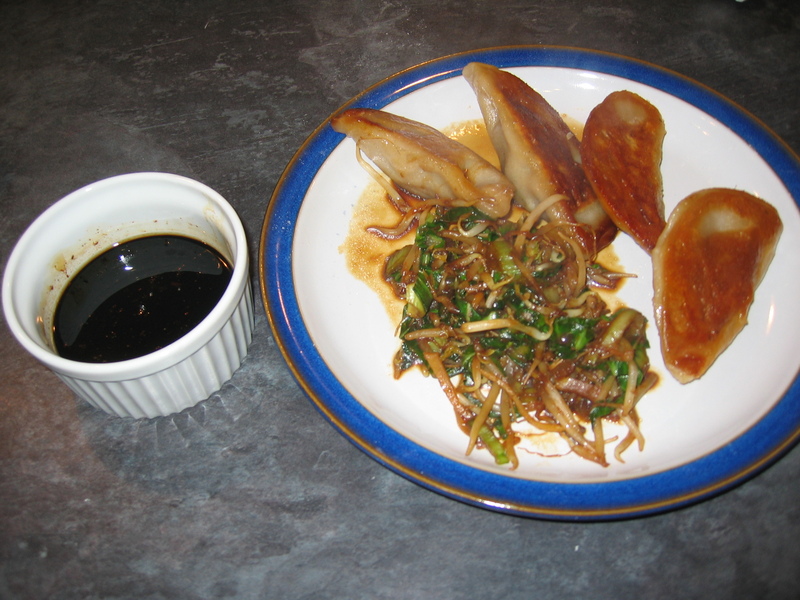 I’ve served them here with stir-fried Pak Choi and Beanspouts for a great main meal. 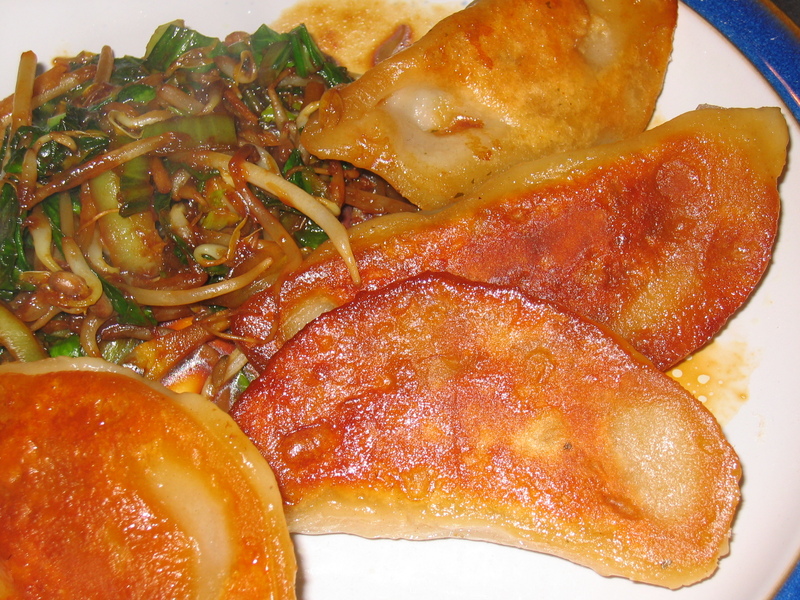 I’ve also used the same filling mixture for wantons (this quantity makes loads! ), but pass all the mixture through a food processor to make a fine paste. In a bowl, make the dough by slowly adding the boiling water to the flour and salt. Stir well with a fork then get stuck in (literally…) with your hands. Work into a rough dough and turn out onto a board. Take the rested dough out of the bag and roll into an even ‘log’ – this makes for more even sized dumplings. Cut the log into pieces – you should get about 16-24. In the centre of each round, place some of the filling (about 2-3 tsp). Wet the edge of the dough with water and fold the dough over to form a parcel. Seal well with your fingers or crimp. 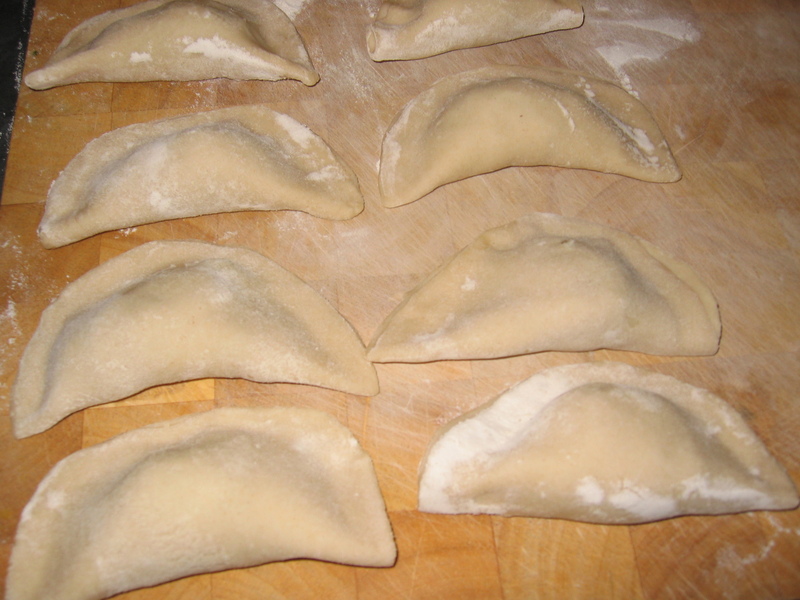 They should resemble little cornish pasties, and the base should be flat. 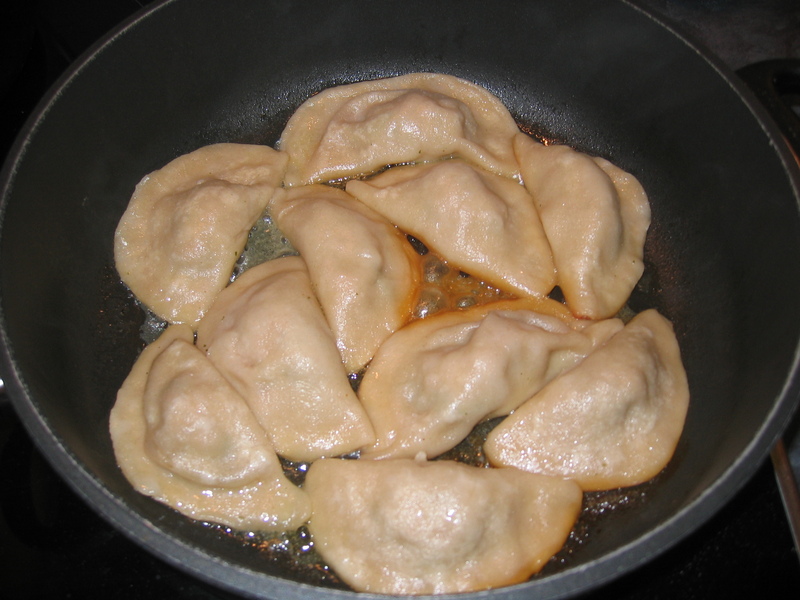 If you don’t intend to use them all in one sitting, freeze the raw dumplings now. Ideally you need a large non-stick pan with a good lid for the next stage. When the bottoms are sealed and brown, pour the stock into the pan and cover with a lid. Turn the heat down and steam gently for 10 minutes or so. Check during cooking to ensure that the stock hasn’t evaporated – if so, add some water. Superb! Well worth a try!